For many people looking to conduct a home improvement project, buying stone veneers directly from a quarry can indeed be a great idea. Although in the past few years a lot of brokers and third parties have flooded the stone veneer industry, it is still possible to get these stone right from the source. The days when you really needed to spend a lot of money on thin stone veneers are now gone and the idea of buying straight from a quarry should be exciting and interesting for any homeowner. One of the main reasons why in recent years the cost of stone veneers has risen to unimaginable levels is due to the huge number of third parties and middlemen that control the business. In case you are looking to secure quality stone veneers at the best price in the market then buying directly from a quarry is indeed a great option. That way, you wont have to incur the unnecessary expenses that arise due to the commissions and fees middlemen have to be paid every time you purchase the stones. Stone veneer quarries have great diversities in stones consequently, you have the opportunity to choose the color you want. Remember, different people have diverse preferences and sometimes a color that may suit someone else may not be the same with you. However, going to the quarry directly will help you sample the different stone veneers available and their colors with the ultimate goal of choosing something that appeals to you. Stone veneers come with different sizes and different shapes. The truth is, buying directly from a quarry can be a great way of picking out the cut you want in line with the project you intend to undertake. The most important thing is to know exactly what kind of stones you need and just go for them. As aforementioned, the best thing about quarries is that you get outstanding diversity. 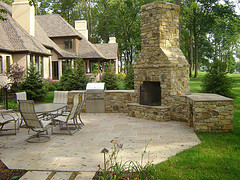 Whether you are looking for a thin stone veneer or a thick one, its only in a quarry where you can get them. Finally, in case you are looking for strong, durable and natural stone veneers, buying directly from a quarry is indeed highly recommended. The problem with many middle men is that you rarely trust them to deliver strong and quality stones therefore, going directly to the quarry is a sure way of getting durable and strong stones for your home improvement projects at all times. By and large, the benefits of buying stone veneers directly from a quarry is a perfect way of ensuring that you get quality stones at a more realistic and affordable price point. Although going straight to the quarry may seem a little hectic and time consuming, when you take a look at these benefits, its indeed worth it. Remember, the ultimate goal is to buy quality stones that meet your preferences and standards in the long run. After all, there is a broad diversity of quarries around and checking them out regularly for a quality stone veneer should be a stress-free process. If you are looking to give a special appearance to your home, then you must definitely have to try natural stone thin veneer Texas. I’ve talked about this quit a bit. I can not emphasize enough how it can make something go from ordinary to extraordinary. This product will provide a premium appearance and will allow your house to easily get lots of compliments. Furthermore, it will provide enhanced protection and it will add a sleek modern look. It is a easy update and will add some value to your home. Natural Stone thin veneer is a product that will add seek style and exclusivity to your home. It will look like your paid a contractor several thousands of dollars – when you only did this yourself over a weekend. The first stage of the fireplace. Thin stone veneer holds up through time. Very durable! This stone is able to transform an average home into a state of the art place ready for the presence of guests as well as for hosting family members at all times. Guests will think you had demolition done or a wall created when only you placed thin stone veneer on top of an existing wall. If you enjoy having fun with your family outdoors for the weekend why not enhance your outdoor fireplace with thin stone veneer. And what better way to put it in evidence than by adding this exquisite stone which has been designed in such manner as to resist any type of weather and time? 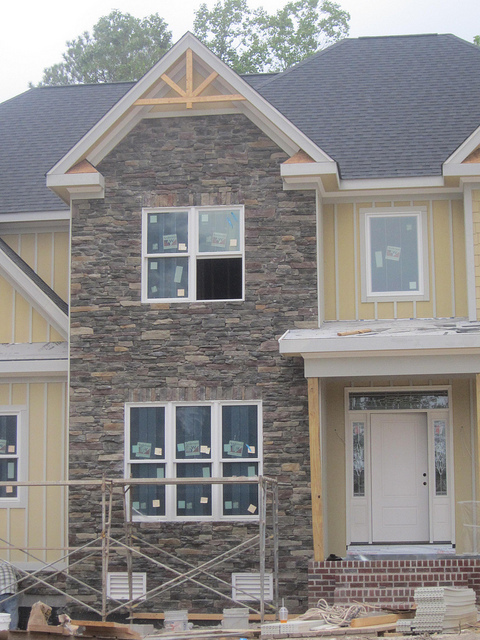 Why natural stone veneer is a good choice. You are a special person hence the reason why you deserve the very best. Why waste time with cheaper materials and appliances when you can opt for this premium veneer stone and give your house a truly unique look? Although many homes in Texas still rejoice from a classic appearance, the few ones who have embraced modernism showed that it’s possible to achieve something full of personality with a relatively decent budget. 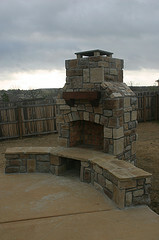 Thus, if you are wishing for the best in terms of style and appearance, then you can count on natural stone veneer. Natural stone thin veneer in Texas as you may know already, this stone finds itself in a natural Texas stone, mostly light in color and in an unaltered state which means that it will resist without problems in extreme Texas heat and for a longer period of time. Thin stone veneer is just the front or face of the stone. It does not embody the entire rock. It has a clean cut to allow you to place the veneer to any flat surface. By choosing this type of stone for yourself what you actually do is add a new life. You step into the modern era and that bit of style which traditional homes simply lack and will never be able to achieve. If you consider yourself a special person and want to given yourself a treat for the upcoming period, then you simply can’t go wrong by choosing to invest in the renovation of your home. After all, this is the place where you spend the largest part of your time and also the place where happiness is more than welcome. Thus, why not make it more special than ever and improve it with the aid of this unique natural stone veneer which will make all your neighbors envious? Make your home a more visually-delightful place and be proud to make a long term investment which will certainly prove rewarding. This type of stone will most definitely be appreciated by all your family members, friends and relatives.